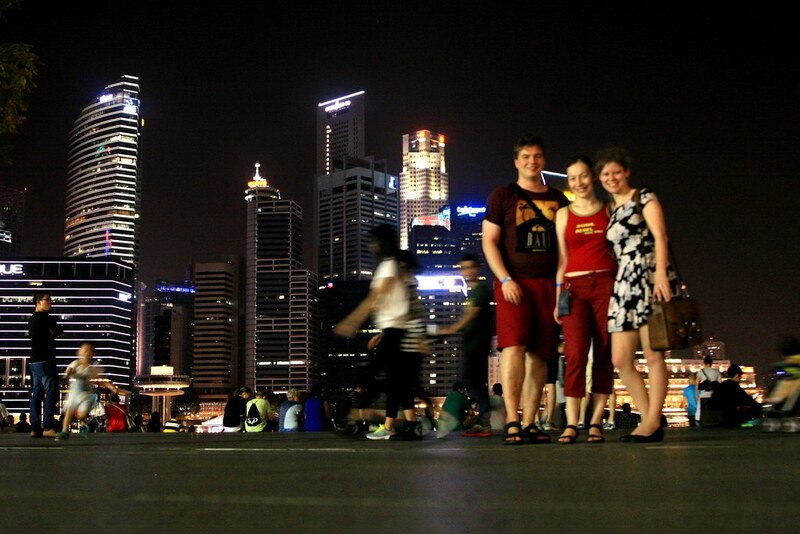 About a year ago, my lovely friend Maja and her charming husband got jobs in Singapore. The commute from the UK is quite lengthy, so they also moved there. And ever since, I have plotting my visit. I arrived in a haze of confusion having gone straight to the airport from a very busy school week. (I knew I was cutting things fine when I had to hang my slightly-damp clothes around my desk as they hadn't dried in time for me to pack). I jumped on a direct flight from Heathrow to Singapore an promptly fell asleep. With the time difference and the fact that I didn't go to bed, my brain somehow deleted the flight from my mental time line and it felt like I arrived the same afternoon, even though a whole day effectively passed. I was met by Maja at the airport and I learned how to navigate the MRT system. Or at least I learned how to follow Maja through it while we gossiped copiously, and I admired the beautifully eclectic names of the stations. MRT stands for Mass Rapid Transport, and is the Singaporean answer to the tube. Except it's cleaner and has air conditioning. In Singapore, it is customary to stand on the left of the escalators, not the right like the London tube, so my escalator etiquette was somewhat lacking. It is not customary to bang your head repeatedly on the exactly-head-height hand rails when you change train, but I did it anyway. Perhaps that will make up for my poor escalator manners. Once I ditched my luggage and showered, I felt like a new woman. I had decided not to be jet-lagged and so I wasn't. Apparently that works. So it wasn't long before I was ready to get out and explore the lovely warm city-garden-state. 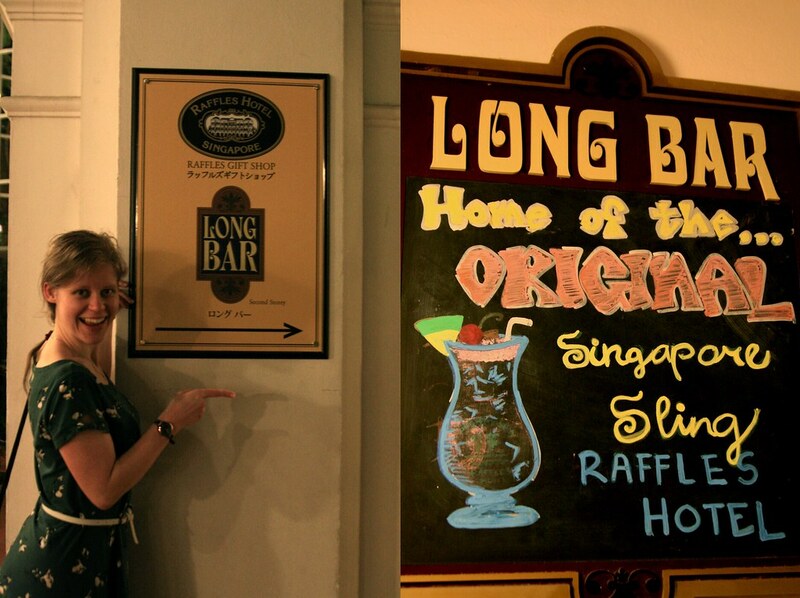 We spent part of the evening at the Long Bar at Raffles Hotel where the Singapore Sling was invented. I drank one. It would be rude not to, clearly. 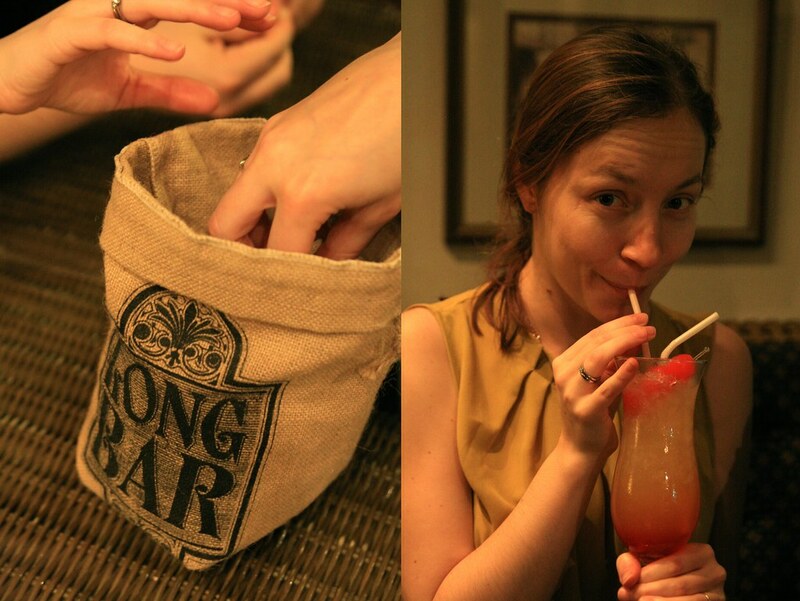 And having slung my Sling, I can confirm that they are delicious. 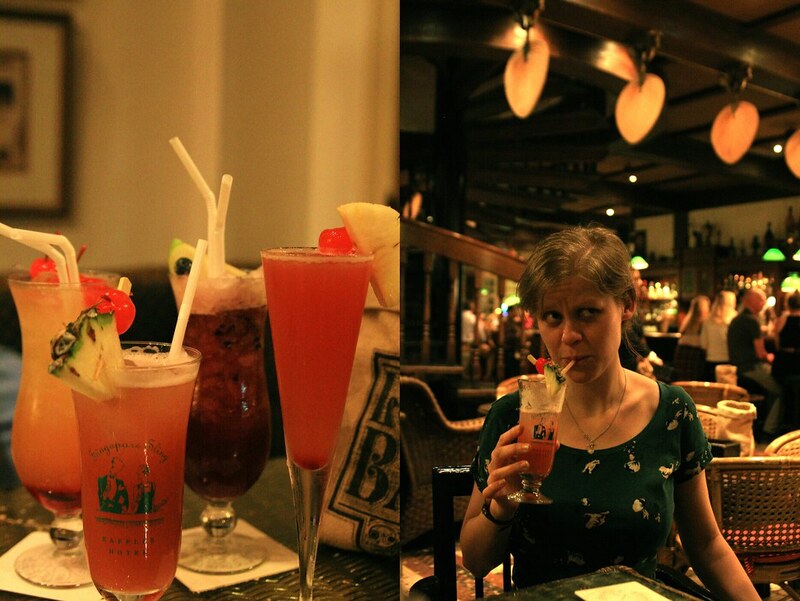 But I cannot for the life in me remember any of the ingredients, except to say that at least one must have been fruity, at least one must have been pink, and that alcohol is involved. Yum. 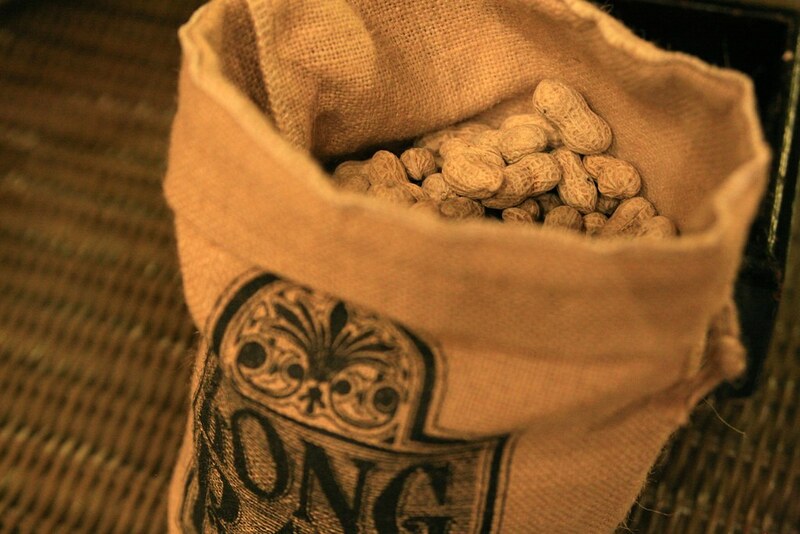 There's a somewhat curious custom however: each table has a little sack of peanuts and you can while away the time waiting for your drinks by cracking into them and winkling out the nuts. 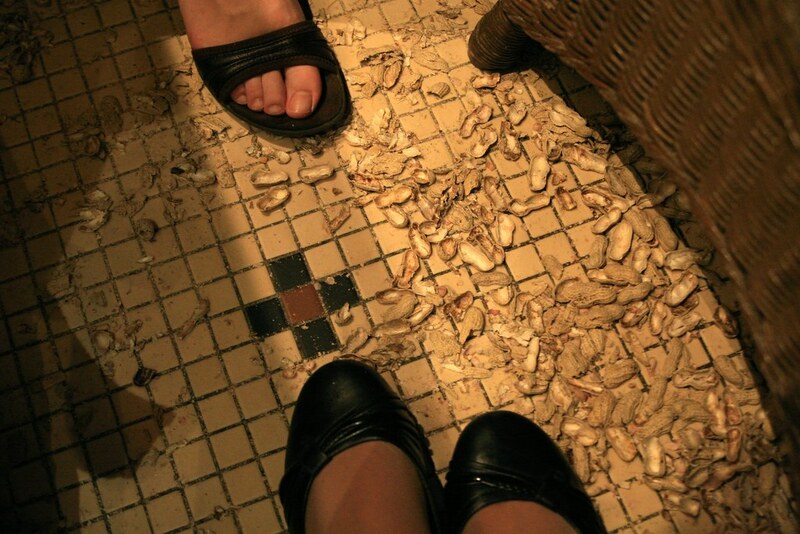 And then you are actively encouraged to drop the shells on the floor. The upshot of this is that walking across the Long Bar produces a resounding crunchy effect. 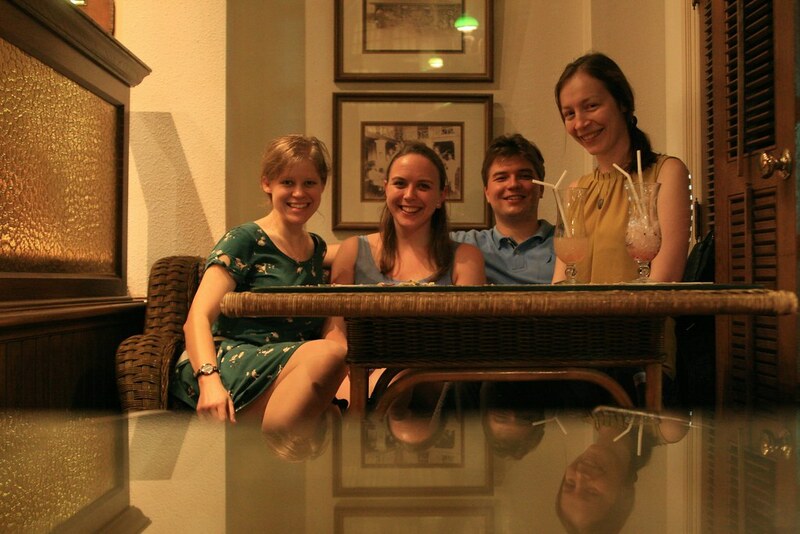 Strange for a very bygone-era British-colonial style bar in a fancy hotel where a dress code applies. Anyway, it was a lovely way to spend the evening, catching, reminiscing and with a whole deliciously travelly half term ahead of me. P.P.S. Wouldn't it be lovely to go on holiday all the time? 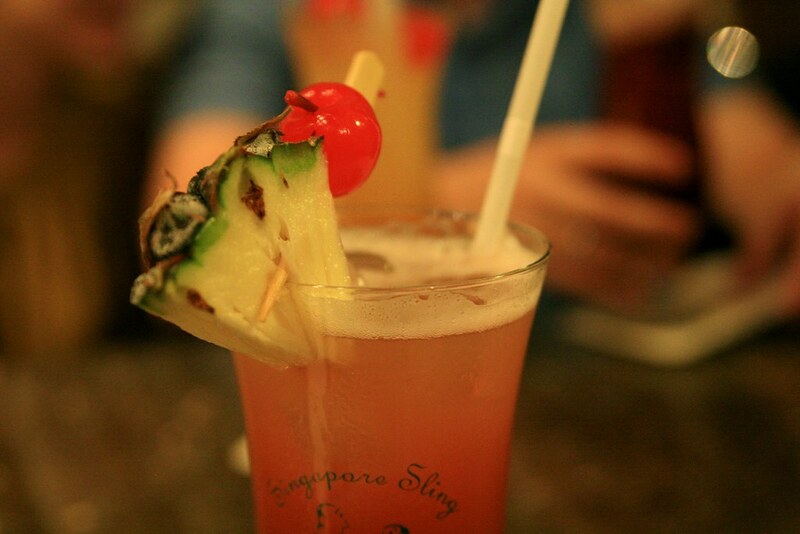 I love Singapore! 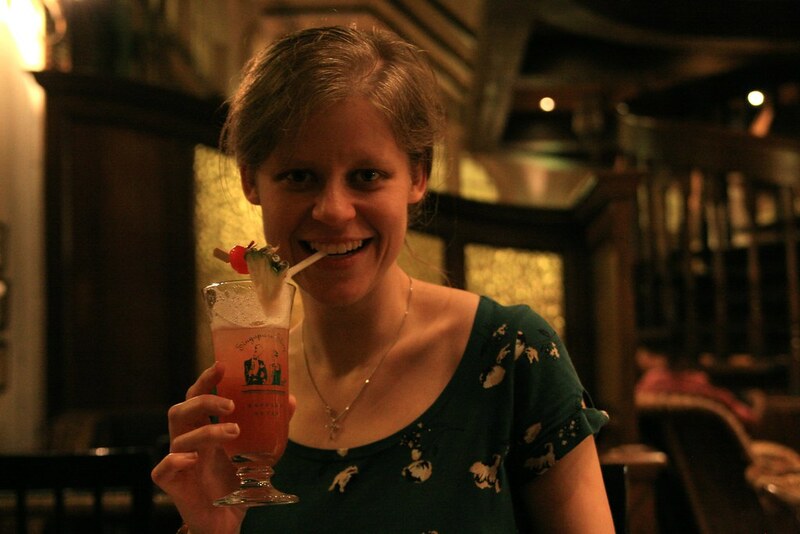 I've also had a Singapore Sling in the bar at Raffles and agree that they are delicious!